Earlier today, we reported that both Marvel and Sony are eyeing much younger actors to play the new Spider-Man, since The Amazing Spider-Man and The Amazing Spider-Man 2 star Andrew Garfield will not be back to play Peter Parker. Variety now reports that "a number of actors already have been mentioned as being considered for the role," including Dylan O'Brien (The Maze Runner) and Logan Lerman (Fury). The site does add that Sony and Marvel have not approached these actors quite yet, since their first order of business is to find a new director to replace Marc Webb. But it is confirmed that this Peter Parker will still be in high school. Peter will head back to Midtown High School, the same setting that was used in both Sam Raimi's Spider-Man starring Tobey Maguire and Marc Webb's The Amazing Spider-Man movies starring Andrew Garfield. Both of those incarnations of the franchise had Peter graduating from High School and moving out on his own. The studio's plan is to spend more time at Midtown High, showing more of Spidey's awkward relationships with fellow students, along with his crime-fighting exploits out of school as the Spider-Man franchise continues on into the future. In the joint Marvel/Sony press release, both studios specifically mentioned Peter Parker by name, but Variety reports that the studio is also trying to decide whether to use Peter or any of the numerous other characters who took over as Spider-Man, such as Miles Morales, a mixed race character whose father is African-American and whose mother is Puerto Rican. While it still hasn't been confirmed by Marvel yet, we reported earlier today that the new Spider-Man will be introduced in Marvel's Captain America: Civil War, before Sony's new standalone superhero adventure that is slated to hit theaters on July 28, 2017. Sony will surely have to move fast to find not only a director and star, but also a screenwriter to craft this new tale before shooting begins, presumably sometime in 2016. 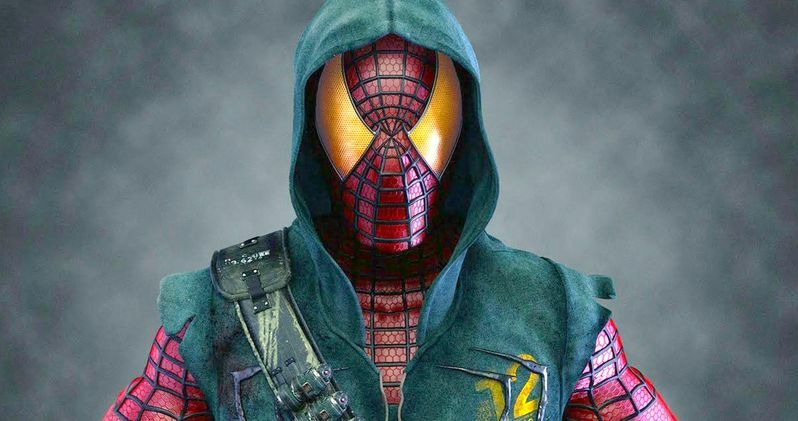 Are you glad that this new Spider-Man will spend more time at Midtown High? Do you think Dylan O'Brien or Logan Lerman are would be good choices to play the new Spidey? Let us know what you think.